I was made aware a few years back of Bronnie Ware’s work with palliative care patients, who are those who had gone home to die. She was able to ask them some big-life questions at that most significant stage in their lives, and came away with some very important findings for the rest of us. She questioned them about any regrets they had or anything they would do differently, and found a few common themes that surfaced again and again. “People grow a lot when they are faced with their own mortality. I learnt never to underestimate someone’s capacity for growth. Some changes were phenomenal. Each experienced a variety of emotions, as expected, denial, fear, anger, remorse, more denial and eventually acceptance. Every single patient found their peace before they departed though, every one of them,” states Bonnie. – Reconnect with your own authenticity. Living life through other people’s beliefs, to strive to meet others’ expectations at the expense of your own dreams is such a waste, and creates too much pain. – Connect with those who matter to you with openness, honesty, vulnerability – allow them to see the real you, and allow them to love you in deeper, more meaningful ways. – Don’t wait until you are on your deathbed to realize what is truly important. – Work is important, but it’s not the most important. Be aware of priorities (health, family, growth), and find ways to balance what’s important as your life journey unfolds. – Live your life well in the here and now. Life at its essence is all about choice. It is YOUR life. 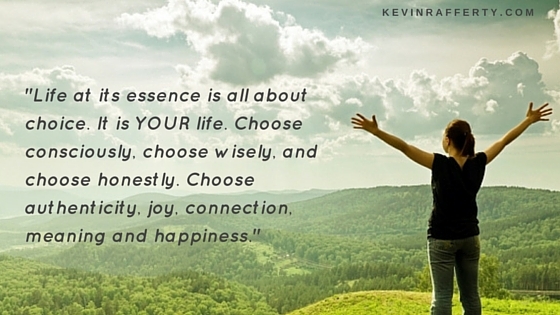 Choose consciously, choose wisely, and choose honestly. Choose authenticity, joy, connection, meaning and happiness. A new year brings new things into focus for me. Over the past few years I have felt my next book brewing inside me, getting ready to pop. The writing process I use collects various concepts together, then I see where they want to collect, and then begin to put things into prospective chapters as the initial draft takes shape. As I did that, what became evident is that my life and leadership journey have weaved through twelve distinct phases /stages, and I can look at each one individually or as a collective. My publicist, Lisa, suggested I use this blog as a starter for this new blossoming incarnation, and since there are twelve months in a year, it makes so much sense to take each facet and spend more time becoming intimately familiar over each upcoming month in 2016. I invite you to look at these twelve as doorways into the same house. You are the house, as both a person and as a leader. These twelve doors open into rooms that make up who you are, are aspects of you, and what you have to offer. When our doors are open, and are openly connected and expressed, your authentic self, with your own unique authentic leadership style, is revealed. Life is always more rich, full, joyful and meaningful when we come to it as our authentic self. As an authentic leader you are much more effective in helping others realize who they are, are adept at creating safe spaces where trust gets built, and foster cultures of highly aligned and engaged human beings working toward outcomes from which all stakeholders can benefit. Personal Perception. 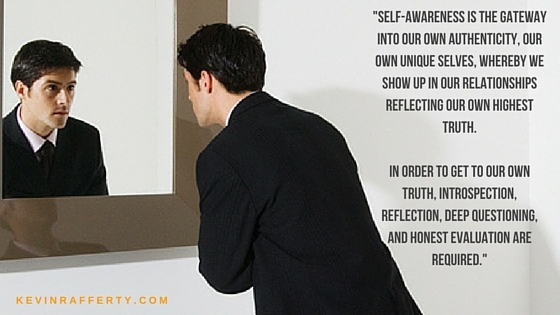 Self-awareness is the cornerstone to living consciously, intentionally, authentically. How do we wake up, access, assess, and get real with ourselves first? How can we move beyond the bounds of ego-centric living and see the deeper layers of who we are? Presence. How do we stay more in the present moment, more mindful, and not allow our thoughts and emotions to hijack us back into the past we can’t change, or thrust us into the future that hasn’t happened yet? Past Presumptions. Our beliefs, fears, shadow drive so much of our life. Have we taken time to self-reflect on the current validity and truth of what has been programmed into us from past experience in the light of our current levels of maturity, awareness and reality? Principles. Values, virtues drive our motivations, our character and our behaviors. Are you aware of your core values, which virtues you adhere to, and how you express them in your daily life? 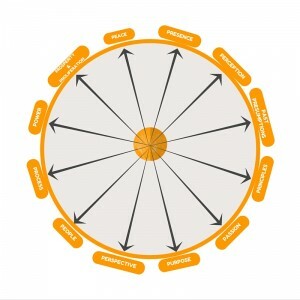 Does your team, organization have defined and live by their core values? Passion. Most people think passion is something we do to get enjoyment. Consider for a moment that you, your whole being, when fully alive and expressed as your authentic self, is passion manifest. What would life be like if you felt more alive, connected and fulfilled? Purpose. Do you have a sense of what your life has been and is all about? Do you feel compelled to follow a certain way? Is a vocation calling you? Life lived with purpose, on purpose, offers infinite levels of joy, fulfilment, connection and prosperity. Perspective. When we lift our sights above the moment-to-moment, day-by-day reactivity, quiet our thoughts, and set new desires and intentions for life lived better, a new vision develops. 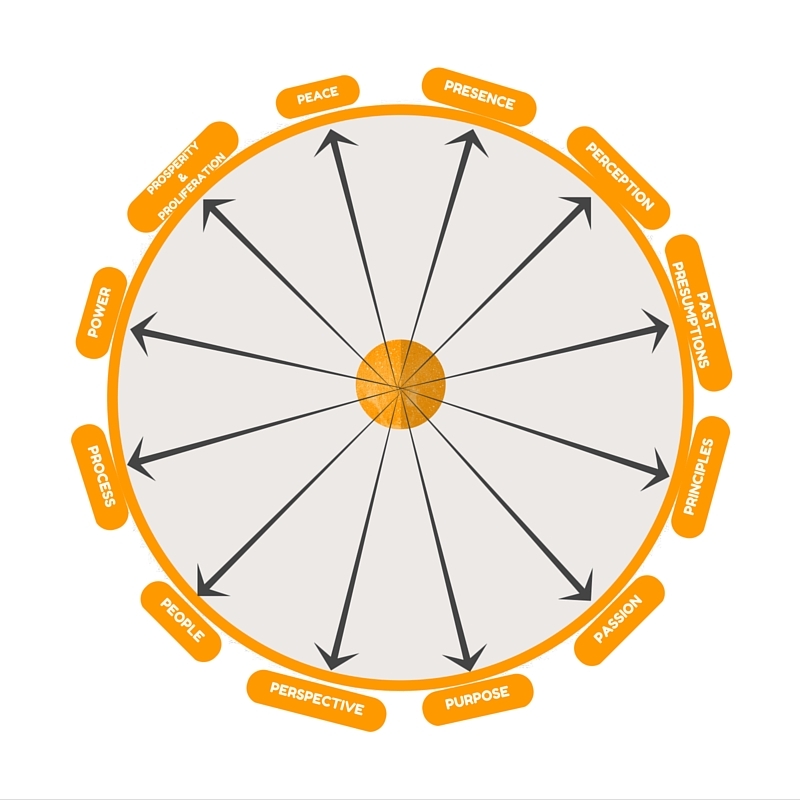 When we can see more clearly and in ways that others obtain great benefit too, our authentic leadership has a healthy compass by which to engage others and allows for deeper, more effective and prosperous activity. People. When we expand our own levels of consciousness about ourselves, we can effectively translate that wisdom into how we see, interact and lead others. 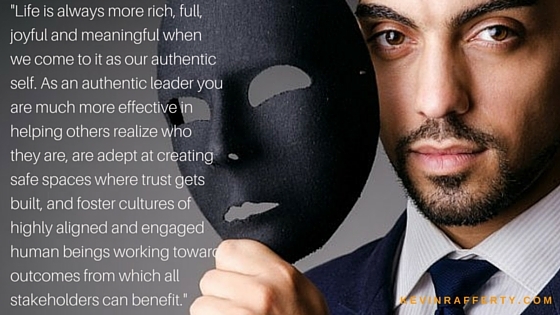 Understanding human nature is a huge component to being an authentic leader. Knowing what makes people tick, how they can communicate and relate to each other in more effective ways is such a powerful way to express how much you care. Process. Life is all about systems interacting with each other. Patterns of thought, mechanics of motion, flow of energy-things-people, rules and regulations and more compose the almost infinite systems that run our lives. As we enhance our abilities to see beyond what’s right in front of us, when we can get ‘above the trees’ so to speak and see how people and systems intertwine, we can begin to conceive new alternatives that are more healthy, productive and sustainable. Power. When more than one of us comes together within atmospheres of trust, safety, caring and connection, people are given the opportunity for their own personal and professional growth and expansion. As your people connect to their own unique aspects of authenticity, they will be so much more effective at problem-solving and conflict-resolution, working collaboratively and meeting/exceeding expectations. Prosperity & Proliferation. As authentic leaders, how can we help all our stakeholders benefit from their interaction with us, our team, and our organizations? How can we help spread the healthy, sustainable aspects of doing business ‘for good’ while enjoying the fruits of such? Peace. People everywhere share the same desires: to live life in peace, contentment, and well-being, with happiness, joy and connection with others. Authentic leaders know this and keep these outcomes top-of-mind as they interact with people and make decisions that affect stakeholders. I hope we can all share insights, wisdom and stories around these facets of being an authentic person and an authentic leader as 2016 unfolds. Look for more deeper-dives into each facet as 2016 unfolds. As always, your thoughts, comments and experiences are welcome! Here’s to making 2016 a year of meaning, well-being, growth and authenticity! Past blogs have begun to lay out some understandings about what Consciousness, Leadership, and Conscious Leadership are, and why they are important topics in our world of work today. Being a more conscious, self-aware person will enhance your ability to get along with others and be a more effective leader. Self-awareness is the gateway into our own authenticity, our own unique selves, whereby we show up in our relationships reflecting our own highest truth. In order to get to our own truth, introspection, reflection, deep questioning, and honest evaluation are required. Tapping in to your “inner voice” will reveal your own truths to you. To reach a higher level of honest self-awareness, we also must take into account that there are “multiple voices” inside our head, and often vying for the alpha position in our minds. We have many beliefs, stories, values, mores, and fears that have been passed to us from so many sources. Parents, grand-parents, relatives, siblings, teachers, clergy, books, TV, heroes, villains, and more have shared their beliefs, stories, values mores and fears with us, intentionally and unintentionally. By the time we become adults we have taken on so much of other peoples’ stuff that we become a mirror of what we have been exposed to without even consciously thinking about it anymore. At the same time that inner voice that is and has always been there gets drowned out more and more by the noise of what others think we should think, do and say. Consider for a moment that we have three levels of awareness available to us: two halves of Ego (the Healthy and the Negative), and an Authentic Self. The ego is our default, hard wired survival program. Ego looks out for our survival, our sustenance, and our ability to get around. It sees the world as two centers, one as itself and the other is everything outside it. Being apart and needing to live, succeed, and progress, it seeks to keep us safe, free from danger, and able to thrive. The unhealthy aspects of ego keep us mired in some form of fear-based thinking. Whether experiencing sadness, anger, depression, blaming, regret, despair, unworthiness, disappointment or hate from things in the past – or worry, anxiety, pessimism, frustration, doubt, insecurity, overwhelm, insecurity or powerlessness from things not yet manifested in the future, unhealthy ego keeps our consciousness below the level of active self-awareness. When we are focused on the past or the future we have no room to be present. These are the “other voices” we listen to, and they often scream so loud and kick up our emotional states in such a tizzy that we don’t allow our higher self much room to show-up and offer its wisdom. A healthy aspect of ego is the in-between state of the unhealthy and our authentic selves. This blossoms when we mature and see that living from unhealthy ego has its limits, creates too much pain, and doesn’t provide the better things in life most of us seek. As we learn to grow and develop the healthy aspects of ego, life takes on more positive flavors, and improved relationships and results are realized. This takes a good deal of effort, and is accomplished through some form of personal or professional development, over time, and also just by being more open to the life-lessons that constantly come to us. We will talk more about the authentic self in upcoming blogs; I wanted to include it here for you to see a wider field of awareness can be sought, developed and lived. Each of us experience some level of our authentic selves, we call these “peak’ moments, during our days, yet get pulled back into ego consciousness far too often. In these peak moments is where our higher self is most active; it allows a more dynamic level of awareness to look at people, issues, and life in ways most of us deeply desire. The chart below may help visualize these three levels of awareness, how they reveal where our awareness typically resides, and of how we bounce between states, often automatically without any conscious thinking. See which words and states speak to you, reflect back to you, and see where your awareness spends its time. You’ll have bouts of time in each section, and only you get to determine what’s real and true for you, and what you’d like to see improved. This is such a huge subject, and we are only scratching the surface here. I just want to share what I have learned, and am still learning about consciousness and my own levels of awareness. We will refer to ego and authentic self as we dialog about consciousness and conscious leadership over time, so this gives us a context for future conversations. It’s up to each of us to be open to adding and expanding our own awareness. Let me know your thoughts on this, and let’s help each other learn, grow and evolve to be the highest and best people and leaders possible! 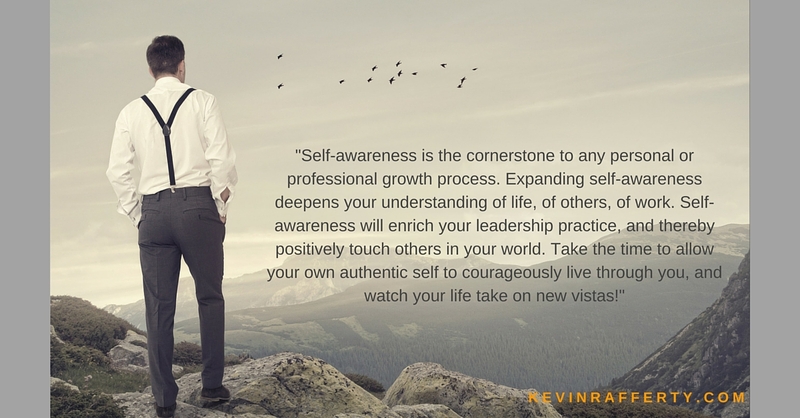 Self-awareness is the cornerstone to any personal or professional growth process. We grow, learn, and develop by taking in new information, analyzing and processing it and allowing it to expand some aspect of ourselves, either by changing our thinking and behaviors or by releasing old habits and healing emotional roadblocks. Self-awareness is the opposite of our reactive, repetitive, subconscious-driven selves that most often run our lives on auto-pilot. Many have been quoted telling us that we should “be true to ourselves,” and yet who are we at our core to be true to? Which ‘one’ of us is our real self? How much honest self-reflection is undertaken? Which “voices in our head” take center stage, and are they the ones we truly align to and authentically resonate around? Which persona is our truth, the one we are supposed to be true to? Being alive is easy compared to turning on the light of your own introspection inside where our truth needs excavating. All conscious leaders have various methods they use to tap into the deeper, more authentic aspects of themselves. Below are the top five that I recommend will most impactfully increase your own self-awareness. Taking an honest, real self-assessment, while uncomfortable at times, is the first step to progress. Pay attention to your self-talk. Are your thoughts negative or positive, and are they focused on the past/future or are they grounded in the present moment? Are you building yourself and others up or tearing yourself and others down? What beliefs do you hold, which are working for you, and which are limiting in some way? What fears are present and what pattern of fear is predominant in you (such as the fear of separation, of not being good enough, of failing, of being wrong, rejection, or being emotionally uncomfortable)? Where have you made trade-offs in your life that lodged regrets within? What masks do you wear to protect yourself from others? What is working that should continue, what’s not working that you’d like to stop and let go, what new change is waiting to start in your life? Have a process of self-inquiry and self-reflection that brings more of your authenticity to light. Uncover your core values. Get clear on your innate strengths and gifts. Reconnect with your passion and creative pursuits. Conduct 360-feedback from trusted others and become more aware of your blind-spots and how you are showing up in relationships. Conduct self-assessments on your emotional intelligence, leadership style, worldview, and personality aspects (using tools such as Myers Briggs, the Enneagram and others). Ask yourself the deep questions about your life’s purpose, and bring to life your “Why” for your existence, and for your team/organization. Pay attention to your feelings, your emotions, and your triggers. Honestly see your own patterns, and find ways to access your deep emotions to allow them to process out rather than stay bottled up. Pay attention to what triggers negative reactions in you, and try to own and clean up your messes after they occur. See what things, people and events generate judgement and biases within you. Self-help books, therapy, developing a spiritual practice, being a member of a peer group, and confiding in others openly and honestly about what you feel all are pathways to a healthier emotional you. Learn to tread more lovingly with yourself as you more deeply connect. Set regular intervals for calming your mind, stilling the constant flow of thoughts and emotions. Frequent check-ins with yourself on how you are feeling, and what you are thinking keeps you centered in the powerful now. Finding time to meditate, or contemplate, slows the automatic thinking process down, allows stress to dissolve, and frees access to our higher centers of thinking/feeling/being. 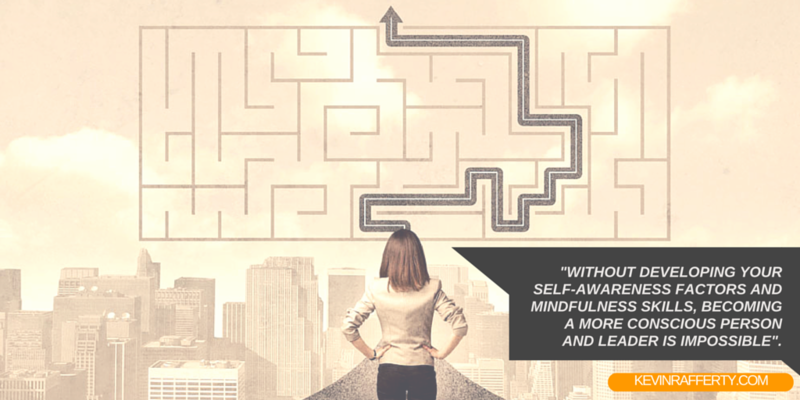 Developing a mindfulness process that helps keep your self-awareness active and alive in the present moment will not only help you assess what’s really going on around you but will also allow you to be more of higher service to others. Set your intentions to become more self-disciplined in fulfilling your goals, overcoming obstacles and living more authentically in the present moment. Getting re-acquainted with commitment to your own self-improvement and growth is a powerful state of mind, and will pay benefits unimagined. Take responsibility for your actions and be honestly self-accountable with your outcomes. Have a daily reminder process to reset your attention around what you most desire to manifest. Being self-aware is a process, a state, a power that will always serve you. Expanding self-awareness deepens your understanding of life, of others, of work. Self-awareness will enrich your leadership practice, and thereby positively touch others in your world. Take the time to allow your own authentic self to courageously live through you, and watch your life take on new vistas! Are You a Conscious Leader? 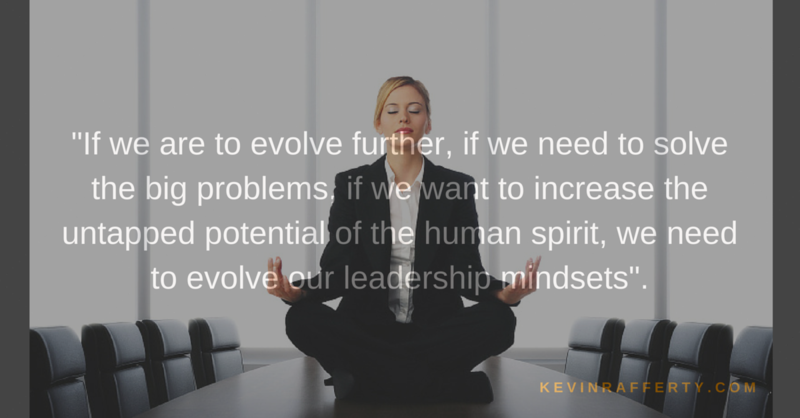 Having coached hundreds of leaders over the past 20 years, and through my own evolution as a human being and leader, I would like to share some perspectives on the topic of “Conscious Leadership,” and on what being a conscious leader is all about. This is such a big topic, and is gaining significant momentum in our business and collective consciousness, so I’d like to spark thought and dialog around this next phase where leadership is heading. The opposite of being conscious is unconscious; acting in a conditioned manner without awareness of one’s present realm, reacting to occurrences from unconscious habit or patterns, repetitive thoughts and behaviors that keep reoccurring over long periods of time. Becoming more conscious, more aware, of one’s self and of others, is the next path of personal and professional growth, if one chooses. An internal shift in one’s consciousness from the unconscious, automatic state of being can happen over time through a focused process of developing oneself, or can happen in an instant. Either way, once new levels of awareness have been achieved, one can see new, more effective, more easily received, more meaningful ways to live life, in dealing with people, solving problems and conflict, and in boosting creativity, teamwork, and performance. Research also proves that those leaders who are more conscious and are creating conscious cultures of more engaged and aligned employees are even more profitable than their competitors (Firms of Endearment 2014). So not only is becoming more conscious good for one’s sprit, it’s very good business too! Continue reading Are You a Conscious Leader? Our current world has undergone massive cultural and business transformations over the past centuries. As we emerged from Monarchies to Nation-states and Democracy, from craftsmanship to the Industrial and Information Ages, from Mercantilism to Capitalism and Globalism, we again seem to be approaching a new tipping point. The rate of change and increasing complexities are requiring newer forms of how we come together at work, why organizations are formed and what are their purposes going forward, and how to maximize the power of the human element beyond conventional management practices. Whatever your opinion about business and capitalism is, the facts are that the combination of democracy and capitalism has driven the rise in the quality and standards of living for billions of people on the planet over the past 150 years. Business is the mechanism by which we humans solve problems and improve the comfort, efficiencies and pleasures we experience today. While much progress has been made, there are many unintended consequences to the modernization of our societies, and we face huge challenges moving into the future. Global events of the past few decades make it evident we are at a major crossroads. Einstein said that “we cannot resolve our problems with the same levels consciousness with which we created them.” In other words, “what got us here won’t get us where we need to go.” Yet, those in current positions of power don’t seem to comprehend what’s really going on around them, or aren’t motivated to act with greater awareness and leadership. – The upper level of mental life of which the person is aware as contrasted with unconscious processes. Continue reading What is Conscious Leadership? Welcome to The Conscious Leader’s Coach Website and Blog! Thanks for joining me as we launch my new website and blog. My hope is to be a continuous “go to” resource for those leaders who are looking to deepen their own authentic imprint onto their organizations. This is such an exciting and most challenging time to lead businesses and people, and leaders are facing complex and varied demands like never before. While technology and systems have made life and work more productive, we have also seen employee engagement drop, as stress and dissatisfaction increase on the job. 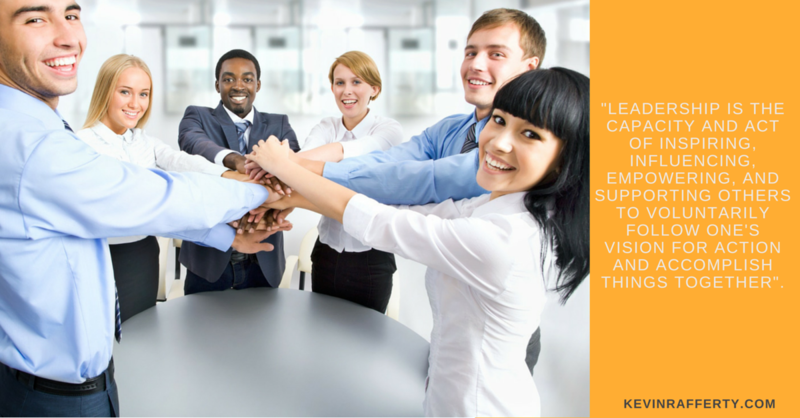 Now is the time when every organization needs a better leader – a conscious leader. It’s time for the way we do business to evolve, for our organizations to become more conscious, more people-centric, if we are to surpass the complexities and challenges of today. 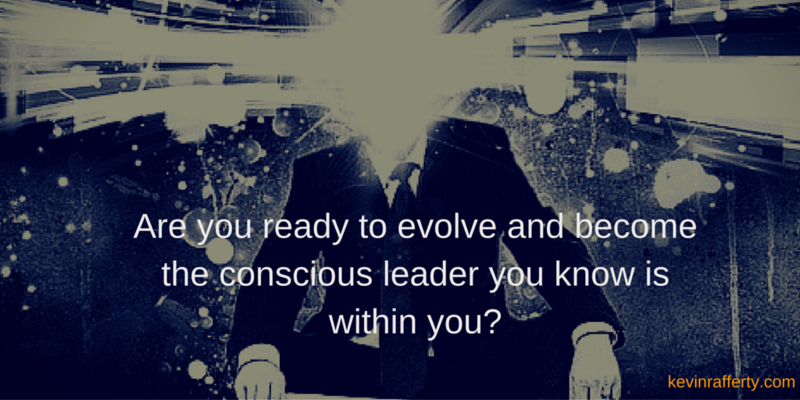 Are you ready to evolve, become the conscious leader you know is within you? My personal purpose for my life and work is to advance the evolution of the human spirit! I do this by engaging people in discovering their own unique self, their authentic self, and then help them on how to be that person more fully in their life and work. I wrote the book Wake Up, Get Real, Be Happy – Becoming Your Authentic Self to help people awaken and get on living more full, productive, happy and meaningful lives. Since leadership has been my passion, profession and avocation, I love working with business leaders, helping them transform their own leadership style and the cultures of their organizations. Continue reading Welcome to The Conscious Leader’s Coach Website and Blog!